SuperTuxKart the open-source arcade racing game is now available for Android devices. 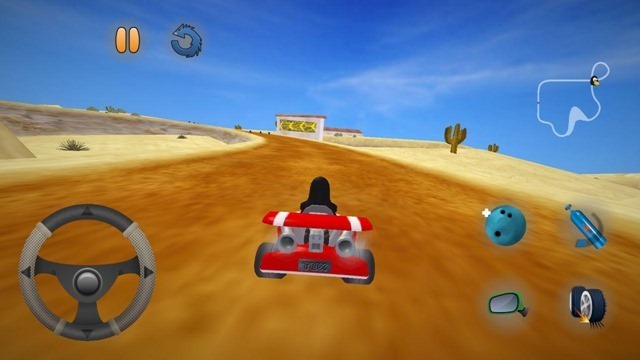 The game which debuted on PC back in the mid 2000s, is widely popular amongst gamers especially since it is similar to Mario Kart. 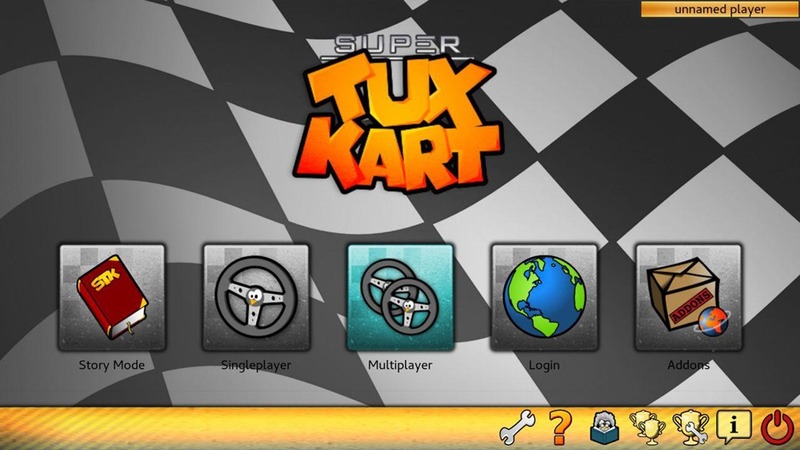 The game has many characters, most of which are based on the mascots of open-source projects like Mozilla ThunderBird, Tux (the Linux Penguin), eMule, Pidgin (IM client), Wilber (GIMPP), to name a few. And yes, you have obstacles, powerups, various weapons, game modes, just like the PC version has. The graphics are okay (not as good as the PC version obviously), but the controls are good, and the gameplay is great. Network play is not available yet, but is being worked on. One very noticeable bug was in the tutorial section of the Android game, where it tells you to press the backspace key, V key, etc, which are all from the PC version of the game. That being said, the icons on the screen make it clear and easy to use. Download SuperTuxKart for Free from the Play Store. It has no ads or IAPs. 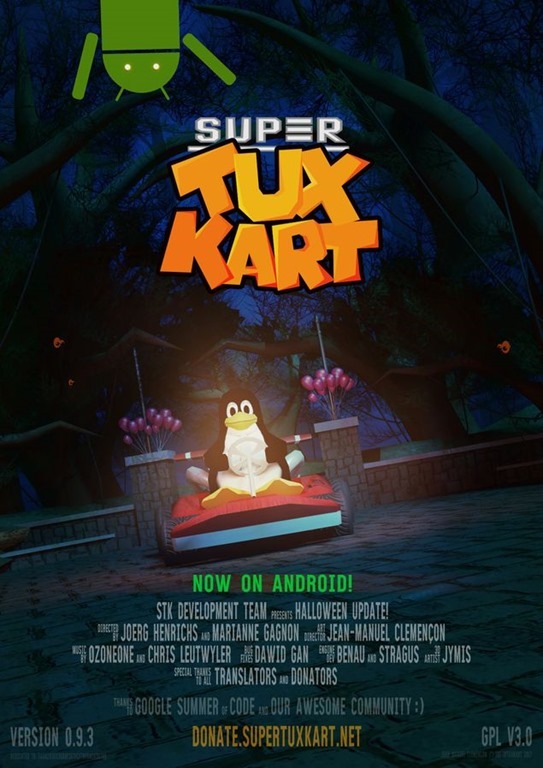 If you are looking for the SuperTux platformer game which was inspired by Super Mario, you can find an unofficial port of the Android version on Google Play. 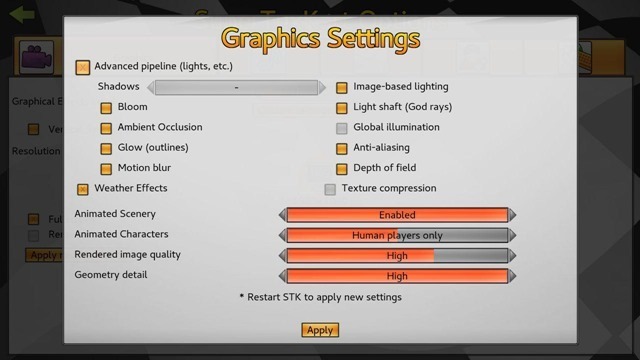 There are many other open-source PC games which have been ported to Android like Battle for Wesnoth, Dungeon Crawler Stone Soup, OpenTyrian, OpenTTD, etc.